History at its best–the great stories of England’s modern age, distilled in Robert Lacey’s inimitable style. 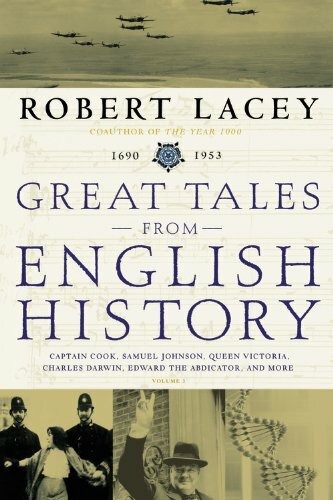 From William and Mary to Watson and Crick, Robert Lacey’s newest volume offers up the most delightful and intriguing English tales of the last few centuries. Royal families and renowned scientists, highwaymen and war heroes–the most colorful characters of modern English history are here. Samuel Johnson, Mary Wollstonecraft, Queen Victoria and Prince Albert, Charles Darwin, Winston Churchill–these are but a few of the famous characters to grace the pages of volume three. Robert Lacey once again captivates with the tales of an era’s most pivotal moments: the events and extraordinary characters that shaped a great nation.